(CN) — Planet Earth will likely warm about 3 degrees Fahrenheit by 2100, at which point the side effects of climate change would become more severe, according to three studies published Monday in the journal Nature Climate Change. The research underscores the challenges nations face as climate projections become grimmer, and the odds of limiting global warming to an acceptable level shrink. In the first study, researchers used statistical tools to determine the likelihood of different levels of warming. The report gives a 1 percent chance that average temperatures on Earth will be at or below 2.7 degrees Fahrenheit above pre-industrial levels by the end of the century: the primary goal of the 2016 Paris agreement. President Donald Trump announced in June that he was withdrawing the United States from the treaty. 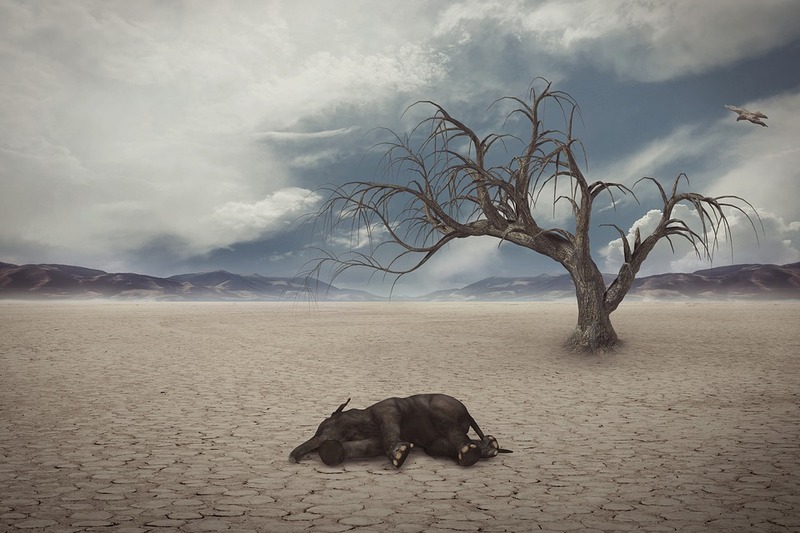 Warming beyond 3.6 degrees Fahrenheit, or 2 degrees Celsius, is viewed as the “tipping point” at which the side effects of climate change become more extreme. The research shows a 5 percent chance that global warming will be at or below that level by the end of this century. In the second study, researchers found that even if all greenhouse gas emissions instantly stopped, Earth would continue to heat up about another 2 degrees Fahrenheit by the end of the century. If current emission levels continue for 15 years, the planet would likely experience nearly 3 degrees Fahrenheit of warming by 2100. One degree Celsius, or Centigrade, is equal to 1.8 degrees Fahrenheit. The team’s analysis relies on observations of the climate system to calculate Earth’s committed warming, compared with computer simulations. The research accounts for the climate-relevant behavior of fine participles in the atmosphere, the ocean’s capacity to absorb carbon, data on the planet’s energy imbalance, and other factors. The study shows a 13 percent chance that Earth is already bound to warm up 2.7 degrees Fahrenheit by 2100. If all greenhouse gas emissions stop in 2017, the team projects warming by 2100 to be between 1.6 and 4.1 degrees Fahrenheit, though the ocean could reduce committed warming by 0.4 degrees Fahrenheit. The impact of climate change on human health also will increase, and is expected to cause about 60,000 deaths globally in 2030 and 260,000 deaths in 2100 due to increasing air pollution, according to the third study. Led by scientists from the University of North Carolina at Chapel Hill, the research uses results from several of the leading climate change modeling groups to estimate the number of premature deaths that would stem from particulate matter and ozone in 2030 and 2100. “As climate change affects air pollutant concentrations, it can have a significant impact on health worldwide, adding to the millions of people who die from air pollution each year,” said lead author Jason West, an associate professor at UNC-Chapel Hill. Warmer temperatures accelerate chemical reactions that create air pollutants such as ozone and fine particulate matter, which affect public health. Drier areas are especially affected due to less pollutant removal by rain, increased fires and windblown dust. The team found that global warming is expected to increase air pollution-related deaths globally, except in Africa. Five out of eight models forecast there will be more premature deaths in 2030, while seven of nine models predicted additional deaths in 2100. “Our finding that most models show a likely increase in deaths is the clearest signal yet that climate change will be detrimental to air quality and health,” West said.